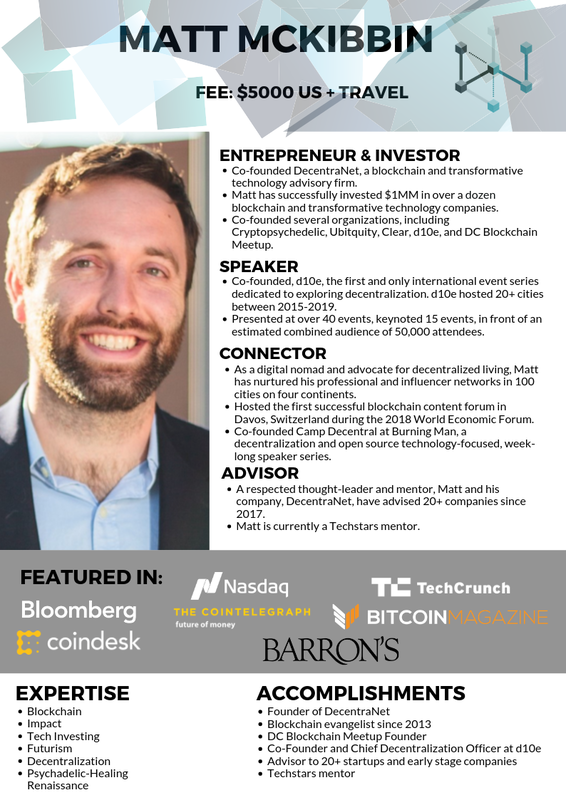 AUSTIN, TX – April 10, 2019 – This week, DecentraNet’s Ted Moskovitz and Matt McKibbin will be attending the Global Block Builders conference taking place April 10-13th in Austin, Texas. The Global Block Builders are a group of enthusiastic blockchain leaders from a diverse background, joining together for the purpose of high-level education and intentional collaboration. The three-day event will take place at the Fairmont Hotel in the heart of downtown. “I’m excited to be a part of Global Block Builders conference in Austin. 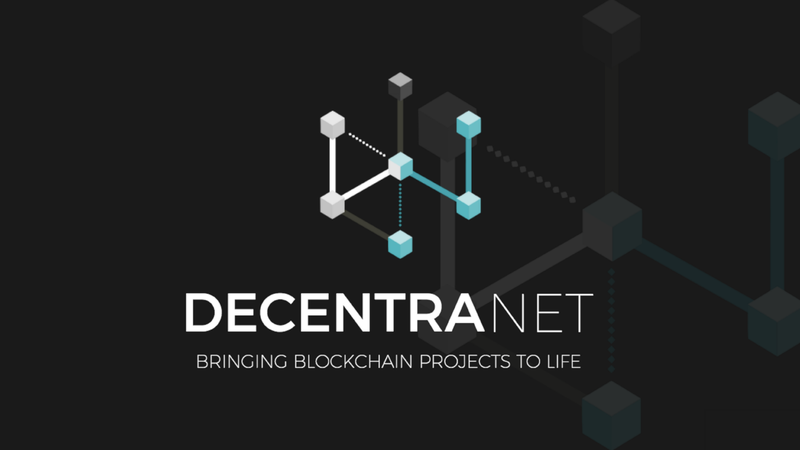 The community they have built reflects the true essence of the open source decentralized movement that we are all building together.,” said Matt McKibbin, Founder of DecentraNet. The event will host a networking meet-and-greet, three full days of speaking, an entertaining happy hour, and a bonus day for long-term relationship-building. Ted and Matt will focus their energies on participating in the blockchain tracks. DecentraNet clients Jake Vartanian of Native Project and Steven Buchko with Coin Clear. If you are attending, please reach out and schedule some time to chat with our team at matt@decentranet.com and ted@decentranet.com. You can also use the code SPEAKER to receive a 20% discount on tickets. Every business needs press, and failing to make your brand story easily accessible to journalists is a mistake. If you have a company, you need a press kit, and here’s 12 steps to create one. 8. Be clear. Use clear messaging and simple, concise soundbites about your brand story, product, and market opportunity. Particularly for companies in transformational technology, write as if the reader has no idea what your technology is or does — this is crucial as you do not want press with little knowledge about your product to walk away more confused. Aim for clarity and limit the use of buzzwords. Also, remember to list important milestones. Tell the world your mission. What is your company doing and why? What is your goal? What do you want to achieve? After Initial Delays, the Next Ethereum Hard Fork is Scheduled for block today, February 28th, 2019. We outline what happens next for ETH holders. A big update is coming to the Ethereum network today known as Constantinople. Though the initial rollout has been delayed twice now due to vulnerability concerns, Ethereum developers are now confident the network is prepared for the newest update. Currently, the hard fork is scheduled to occur at block 7,280,000 which is expected to take place on today, February 28th. But is this a “hard fork”? What are the changes happening? And is there anything I need to do as an Ether (ETH) holder to ensure my coins are safe? Let’s talk about all of that and more as we break down everything you need to know about Ethereum’s latest upgrade. The term “hard fork” often elicits a negative response by many in the cryptosphere. Thoughts of contentious debates, currency splits, and big changes come to mind where enthusiasts have to decide which currency and chain they’d like to support in the future. Hard forks in the past that many are familiar with include the DAO hack and split between Ethereum classic (ETC) and Ethereum (ETH) as well as the Bitcoin (BTC) and Bitcoin Cash (BCH) fork. However, not all hard forks are contentious and to the everyday crypto observer, some feel more like a soft fork — though they’re not. At its core, a hard fork is simply an update and change in protocol for the current blockchain that is not backwards-compatible. Depending on the circumstances of the hard fork, most users who haven’t updated to the latest version will realize they’re on the old chain and update to join the new one. When there are disagreements, and a hard fork is considered to be “contentious,” then the community can end up with a currency split and different coins. But similar to previous non-contentious hard forks in the past like Homestead and Byzantium, Constantinople isn’t going to be splitting ETH or the Ethereum community. In fact, Vitalik Buterin has even discussed using different terminology to avoid newcomers and those less technically inclined in the industry. With the Ethereum update, there are five Ethereum Improvement Proposals, or “EIPs,” set to be implemented. EIP 145 introduces bitwise shifting for the Ethereum Virtual Machine (EVM). This change is expected to make the execution of shifts in smart contracts cheaper by processing information more efficiently. EIP 1052 looks to increase the speed and efficiency of smart contract verification by only requiring a smart contract to pull the hash of another contract to verify it. Previously, smart contracts needed to pull the entire code of another contract to verify. EIP 1014 was made by the founder of Ethereum himself, Vitalik Buterin. 1014 introduces enabling state channels, a specific scaling solution for off-chain transactions by allowing interactions with addresses that don’t exist yet. EIP 1283 known by its full name, “Net Gas Metering for SSTORE Without Dirty Maps,” reduces the cost of gas for the SSTORE operation. EIP 1234 brings with it the most talked about changes to the Ethereum network with a reduction in block rewards from 3 ETH to 2 ETH as well as delaying the difficulty bomb for 12 months. This is where “the thirdening” comes from, and the change will effectively reduce the rate of inflation for ETH on the market as the block reward is decreased. These 5 EIPs are the actual updates that will be happening to the Ethereum network during the hard fork, but what does that mean for the average ETH holder? First and foremost, because this isn’t a contentious fork and there won’t be a currency split, ETH holders (and holders of any ERC-20 tokens) don’t need to do anything with their cryptocurrency. In fact, even those storing ETH on major exchanges like Binance, Coinbase, OKEx, etc. 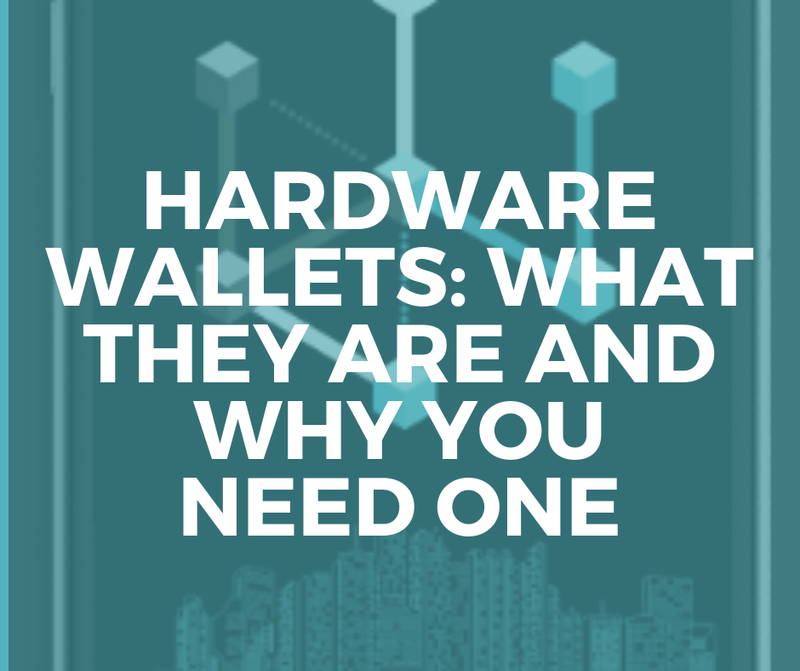 can leave it in their exchange wallet during the fork (though storing cryptocurrencies on exchanges long-term is never recommended, see our article on Hardware Wallets for more on that). Most major exchanges have already prepared for the upcoming fork and are fully supporting the update to the Ethereum blockchain. While miners will be updating to the latest blockchain, the only other thing ETH holders need to do is watch out for various scams and market movement. Because not everyone in the crypto space is tech-savvy, there are already phishing schemes being attempted. There’s news of a new “Ethereum Nova” airdrop that’s an attempt at getting users’ private keys. Don’t share your keys with anyone or any website promising to give you free tokens via airdrop — be wary and sit tight. After news of the largest bank in the US, JPMorgan, launching a cryptocurrency of its own, bitcoin and other cryptocurrencies are back in the spotlight. Though traders and investors won’t be able to actually purchase the newly minted JPM Coin, it brings to light one of the most important questions in the cryptosphere: usability. There won’t be any speculative investing in the JPM Coin. Rather, the bank is testing blockchain technology for moving vast amounts of money internationally — something JPMorgan does a lot with an estimated $2-$5 trillion transferred every day. Intended to improve upon the current SWIFT network used by global banks today, JPMorgan is leveraging blockchain-based JPM Coin to enhance its own business. However, as many in the cryptosphere have pointed out, there are many ways that JPM Coin isn’t really a cryptocurrency being wholly centralized, tied to the USD, and not for individual use. So then what about other “real” cryptocurrencies that aren’t created by a bank? This latest development raises more questions on cryptocurrency usability and, as it turns out, there are already real-world examples of them in action today. One of the ways they’re being used is to help mitigate bad centralized currencies in places like Venezuela, here’s how. According to a recent estimate from the United Nations, more than 3 million people have fled Venezuela since 2015 amid the current economic and political crisis. While violence is still a problem in the country, one of the other pressing concerns for many is the economic turmoil and hyperinflation of the local currency, the bolívar. As a result, Venezuelan citizens have endured losing nearly all the value of their life savings to hyperinflation. Now, the future of the country remains even more concerning as political tensions rise between the current President, Nicolás Maduro, and the newly elected Juan Guaido claiming the title for himself. While there’s no denying that bitcoin prices fluctuate greatly, its price movement pales in comparison to the runaway devaluation of the bolívar which hit estimated inflation of 1.37 million percent in 2018. Cryptocurrencies offer citizens a way of purchasing and storing value that isn’t controlled by a centralized party and Venezuela offers a real-world example where centralization goes awry. Due to capital limitations enforced in the country, it’s increasingly difficult for Venezuelans to get a hold of other fiat currencies like the USD. Cryptocurrencies, on the other hand, remain decentralized and operate agnostic of geographic location, political borders, and government control, meaning anyone and everyone can take advantage of them. For Venezuelans, cryptocurrencies aren’t a novel concept about the future of the financial world, they’re increasingly becoming a part of daily life. Daily volume for bitcoin in Venezuela is now greater than $1 million per day and consumers are embracing other altcoins like Dash for daily transactions. Of course, blockchain technology alone isn’t the secret end-all be-all to help citizens circumvent terrible centralized currencies like the bolívar. Similar to the way JPMorgan has created a non-cryptocurrency “cryptocurrency,” so too has the Venezuelan government in the past. In December of 2017, President Maduro announced the release of a state-issued cryptocurrency, the petro, that was said to be pegged to the country’s oil and natural resources. The petro did not have all the tenets of a typical cryptocurrency and, most importantly, wasn’t decentralized. Because of that, it also brought forth none of the benefits associated with being a cryptocurrency. Instead, the Venezuelan people ended up with yet another centralized attempt at a currency that was nothing more than digital fiat controlled by the government that left more questions than answers. While Venezuela provides one of the best examples of how cryptocurrencies can help people circumvent centralized currencies, it’s not alone. Beyond the hyperinflation of the bolívar, there are many other cases where cryptocurrencies stand as the most viable alternative for transferring value. In other areas of the world like Sub-Saharan Africa, where cross-border payments average the highest costs according to the World Bank and are potentially holding back economic growth, cryptocurrencies offer a frictionless alternative for commerce. Venezuela and Sub-Saharan Africa are only the beginning as the world looks at other ways of implementing cryptocurrencies. One factor remains consistent though: decentralization is crucial. DecentraNet is honored to announce our mentoring partnership with Techstars, a legendary organization within the startup community. AUSTIN, TEXAS — February 8, 2019 — DecentraNet is honored to announce our mentoring partnership with Techstars, a legendary organization within the startup community. DecentraNet’s Co-Founders, Matt McKibbin, and Ted Moskovitz, have been selected to mentor the next generation of entrepreneurs and leaders in Techstars’ Alchemist Blockchain Accelerator. The featured companies are focused on integrating blockchain technology into various fields, specifically healthcare, IoT, gaming, software, and finance. Each year, Techstars chooses over 300 companies to join their three-month mentorship-driven accelerator, investing $120K and providing hands-on mentorship and access to the Techstars Network for life. DecentraNet is proud to contribute our network power and startup expertise to this phenomenal organization. Those that join the Techstars community gain access to over 1,500,000 founders, investors, mentors, and industry leaders, including Matt and Ted. Matt and I are thrilled to let you know that we are participating in the Techstars accelerator. We are excited to be meeting the next crop of innovators changing the world. We are equally thrilled to meet fellow mentors and make meaningful connections to serve our fellow clients. — Ted Moskovitz, Co-Founder and Partner at DecentraNet. Techstars helps entrepreneurs succeed. Through the Techstars Worldwide Entrepreneur Network, founders and their teams connect with other entrepreneurs, experts, mentors, alumni, investors, community leaders, and corporate partners who will help their companies grow. Techstars operates four divisions: Techstars Startup Programs, Techstars Mentorship-Driven Accelerator Programs, Techstars Corporate Innovation Partnerships, and the Techstars Venture Capital Fund. Techstars Mentorship-Driven Accelerator Program supercharges success and Techstars Startup Programs inspire, educate and connect entrepreneurs. Techstars Venture Capital Fund invests in the most innovative and disruptive Techstars companies to fuel their success. Techstars Corporate Innovation Partnerships helps brands create world-changing products and services. Techstars accelerator portfolio includes more than 1,000 companies with a market cap of $8.1 billion. What are the killer apps utilizing blockchain technology which have yet to be invented? What are your favorite new protocols and why? Great questions. Our 2018-2019 Market Report will ask our friends and fellow experts these questions and more. We need your help. Our market report goes out to thousands of founders, investors, advisors, journalists, conference attendees and others in the blockchain space. We want to ask the best questions about 2019 blockchain trends. Here are some of the topics we’re already looking to cover. What are we missing? The rise of security tokens (or fall of utility tokens). Where blockchain is actually being incorporated in the real world; what industries do you think will adopt at a quick pace in 2019? Industry standards and ethics—do we need an industry group to help set these? What questions do you want answered? Also, if you think you would be a good fit to contribute, or know someone else who might be, say hello to us hello@decentranet.com. We are stoked to share the insights we discover.